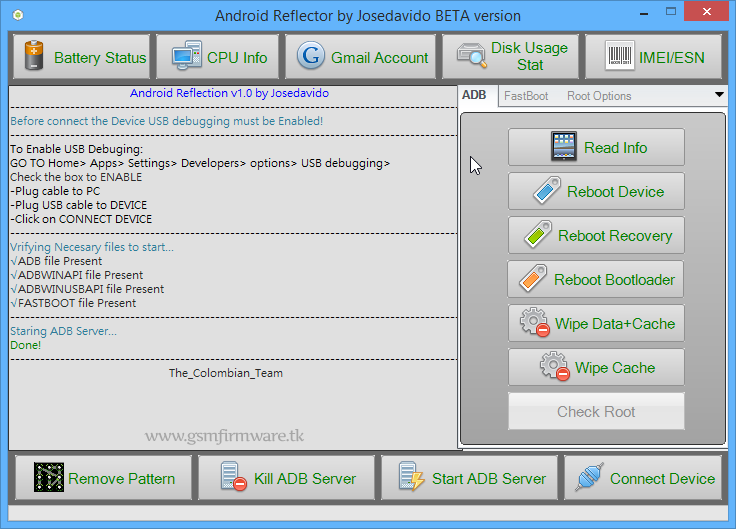 Android Reflection V1.0 by Josedavido Developed by the Colombian Team, It's a Free Beta Version Tool, This Program 100% Working & Tested by GSM Firmware Team. 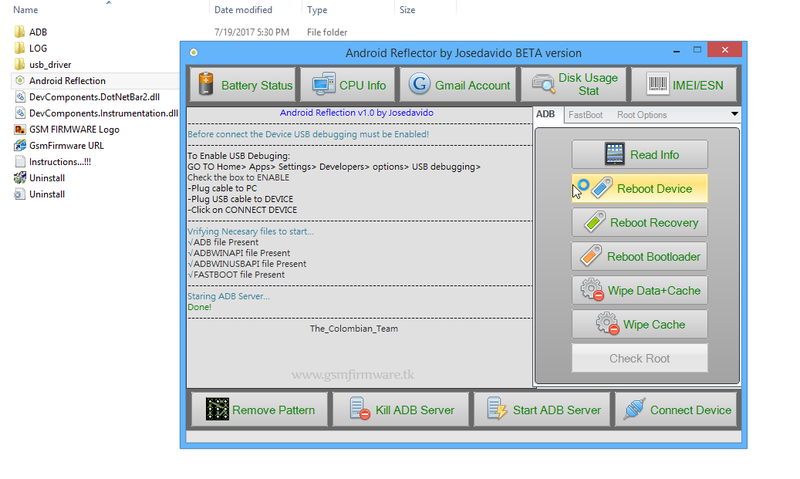 How To Remove Pattern Lock Using Android Reflector Tool? 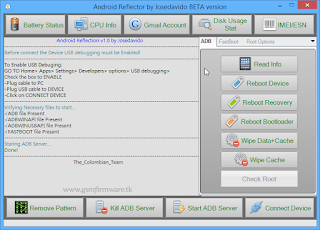 Extract the Android Reflector by Josedavido V1.0 [Colombian Team] Compressed File Using WinRAR. 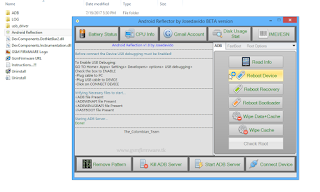 Turn Off Anti Protection Program and All Other Security Tools Like Defender, Run Android Reflection Setup File as Administrator. Connect Your Mobile Device in ADB Mode Via USB Cable with Your PC or Laptop. Click on Remove Pattern Button at the Left Below Side of Program. After Mobile Phone Pattern Lock Removing Process Complete, Your Device Automatically Reboot. After Unlocking, Your Mobile Device Restarts Use Any Pattern to Unlock Your Phone. Pattern Lock 100% Remove Done. Enjoy!